For 10 years, K & D Towing has been serving as a premier towing and roadside assistance company for customers throughout North Dakota. We’re there when you need us for lockout service, fuel deliveries, tows and more, ensuring that you are never left stranded on the side of the road. If you’ve driven long enough, you know that cars don’t always decide to cooperate with your plans. From flat tires to breakdowns, you never know when you’re going to need a hand on the side of the road. That’s why we started K & D Towing in Jamestown, ND. 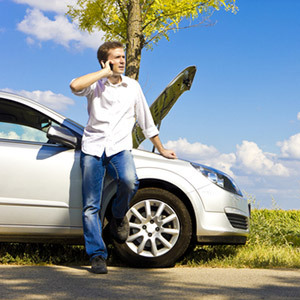 For the past decade, we have been helping customers with all types of auto dilemmas. We’re there when you need us and make it our mission to provide prompt response times and exceptional customer service. As a family owned and operated company, we appreciate the importance of putting the people first and we prize the strong business relationships we’ve been able to build with our clients. We provide convenient and reliable commercial and residential towing. We can perform jump-starts, lockouts, fuel deliveries and more. We bring years of experience and expertise. Our prices are competitive and our service is prompt.